It’s amazing how quickly we slip in to our accent and vernacular. 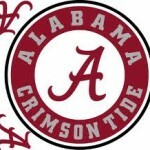 I was watching the University of Alabama game against the University of Arkansas Razorbacks. I was multitasking in the kitchen making a pear cake and dinner, when I slipped in to my southern roots. When I said, “I’m fixin’ to get that,” my children did a double take. They had never heard me talk like that. When my husband met me 21 years ago, I had only lived in Maryland for six months. I still had a slight southern accent that most people picked up on quickly. For my friends who have never visited or lived in the south, we call it southern. I was a military brat who grew up in Georgia and Alabama. 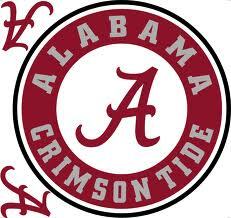 My Dad kept getting reassigned to Ft. Rucker, Alabama, so I consider Alabama “where I come from.” I finished high school there in a small town and graduated from college. It was a fabulous experience and I wouldn’t trade it for anything. But as a publishing professional for two decades, my speaking and writing has changed drastically since growing up in Alabama. Ain’t is no longer in my vocabulary. Nothing ends in “in'” it’s “ing.” My family doesn’t “git” anything. I haven’t visited Alabama since 1993. My Mom had a stroke and I flew home. My parents moved to South Carolina about two years later. I have not ventured back for any Enterprise High School class reunions. How could I so quickly launch in to speaking southern? What made me slip in to my vernacular? A Crimson Tide football game and Facebook posts with former classmates who completely understand what football means. In the south, football is king. There are no other sports. Sure, we have other sports, but none are really as important. In the late summer and early fall, it’s all about football and marching bands, whether it’s high school or college. We eat, sleep and breathe it and our party lines are drawn: You’re either rooting for our team or you’re not. You’re either wearing our team colors or you’re an outlaw — at least during the game. I was rather late to the Facebook game. I was active with Twitter and LinkedIn. I didn’t need Facebook. But since I joined this summer, I have reconnected with high school friends. It’s almost like we all haven’t been separated for over two decades. We all have kids; some of which are engaged or getting married. Some of us have lost a parent. We’re all working or own businesses and trying to enjoy our lives. I sincerely hope that we are living some part of our dream, if not all of it. We all seem to be enjoying ourselves. And, we all love our football.